Long sleeves with stretch wrist cuffs. Down: 80% mallard duck grey down, 20% mallard duck grey feathers. Collar and Cuff: 100% wool. 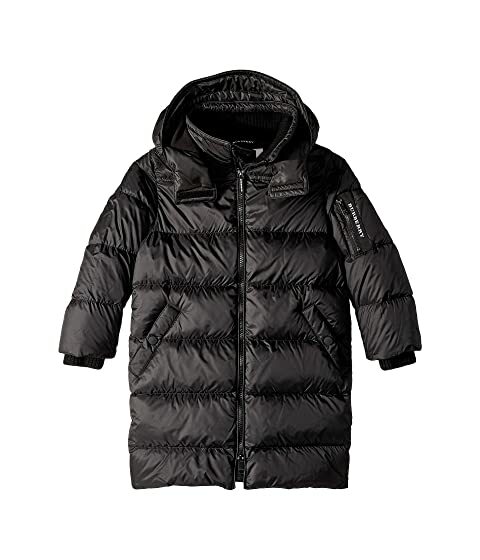 We can't currently find any similar items for the Briton Puffer (Little Kids/Big Kids) by Burberry Kids. Sorry!